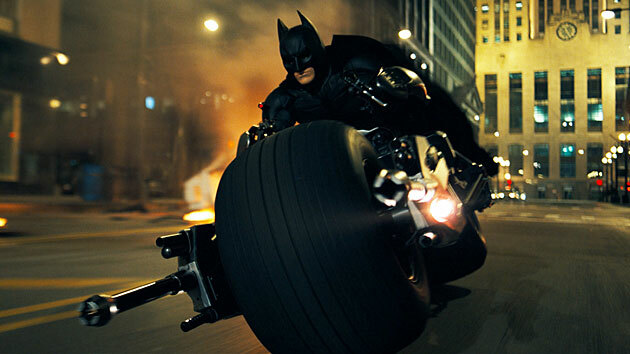 Tumbler & Batpod From 'The Dark Knight Rises' Are Coming To Dublin Tomorrow! To celebrate the July 20th release of Warner Bros. Pictures’ and Legendary Pictures’ 'The Dark Knight Rises,' the third film in Christopher Nolan’s epic Dark Knight trilogy, the film’s Tumbler and Bat-Pod are coming to Dublin on July 10th. Experience the world of Gotham City by seeing first - hand the authentic vehicles from the production of the highly anticipated action drama. Ryan Phillips and Tracy Clifford from Spin 1038s Fully Charged morning show. The Camouflage Tumbler will be on display in Dundrum Town Centre from 10.30am and will be joined from 1pm by The Batpod. The display finishes at 2.30pm..
'The Dark Knight Rises' opens July 20th.